Bumblebees (Bombus terrestis) are essential insect pollinators that are vital to healthy crop yields and biodiversity, but their populations have been in decline. 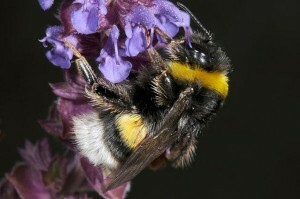 The loss of bumblebees has had disastrous implications for both agricultural crops and wild plants. According to some estimates, bees pollinate three-fourth of agricultural crop species, which have an estimated global value of over $150 billion per year. This number does not account for the positive effects of a healthy population of wild plants. In this study, researchers monitored bees’ day-to-day behaviour by attaching tiny radio frequency identification (RFID) tags to the animals. These tags recorded when individual bees left and returned to the colony, how much pollen they collected, and what flowers they visited. For four weeks, individual honeybees from 40 colonies were exposed to two pesticides – imidacloprid and lambda cyhalothrin—either by themselves or as a single chemical. Lamdba cyhalothrin is in the pyretheroid class of pesticides, and Imidacloprid is a member of the neonicotinoid family of pesticides. Given increasing research linking the latter family of pesticides to bee collapses and harmful impacts on other pollinators, the European Commissions recently banned imidacloprid and another neonicotinoid for use on crops frequented by bees for a two-year trial period. 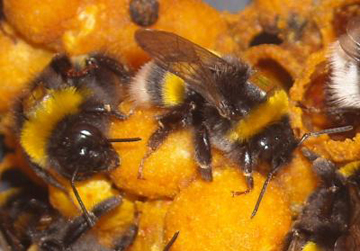 Although acute effects from both pesticides were subtle, the researchers found that chronic exposure to both lamda cyhalothrin and imidacloprid clearly impacted bumble bees’ natural foraging behaviour Over time, the bees foraging performance deteriorated. This was markedly different from the untreated bees, which brought back larger pollen loads as they gained more experience. The pesticide-affected bees took longer to forage for pollen, and the lamda cyhalothrin group brought back the same amount of pollen every time, indicating a lack of improvement despite additional experience. Even more worryingly, neonicotinoid bees brought back smaller loads of pollen as time progressed. Since honeybee colonies need a continuous food supply, the neonicotinoid pesticide-exposed bees compensated for their pollen loss by sending out more foragers. Bees exposed to both pesticides suffered the worst of these consequences, and also had measurably smaller worker bees. Besides collecting less pollen, “the flower preferences of [both pyretheroid and] neonicotinoid-exposed bees were different to those of foraging bees from untreated colonies,” said Raine. He hypothesized this change in preference could be innate, or the bees may have lost the ability to either find those flowers or lost the specific motor skills required to extract the pollen. “If pesticides are affecting the normal behaviour of individual bees, this could have serious knock-on consequences for the growth and survival of colonies,’ as their efficiency is heavily dependent on separate bees collaborating and performing a multitude of tasks,” said Raine. Neonicotinoids are very common: making up 30 percent of the global pesticide market, their residues permeate all the tissues in treated plants, including pollen and nectar. The chemicals, which are similar to nicotine, also persist in the plants, as well as in high concentrations in the soil, throughout the blooming period. Experts have even recorded neonicotinoids in non-agricultural plants adjacent to treated crops. Previous studies have shown that exposure to neonicotinoids can result in a number of disastrous effects, including Colony Collapse Disorder, which is the term for collapsing population in the U.S. and Europe. In one study, 15 out of 16 colonies exposed to the pesticide collapsed within 23 weeks. 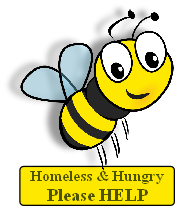 Other studies showed that the pesticides caused brain damage in the bees, robbing them of their homing abilities. Not only did this lead to smaller colonies due to fewer worker bees, but it also resulted in queens getting lost. This, and other evidence, led to the current pesticide ban in the EU. However, the new research suggests that current pesticide regulations likely need to be expanded to assess risks to bumblebees and solitary bees. The colony sizes in the study were equivalent to natural bumblebee colonies around the time agricultural crops bloom in Europe, and the negative impacts were easily apparent.